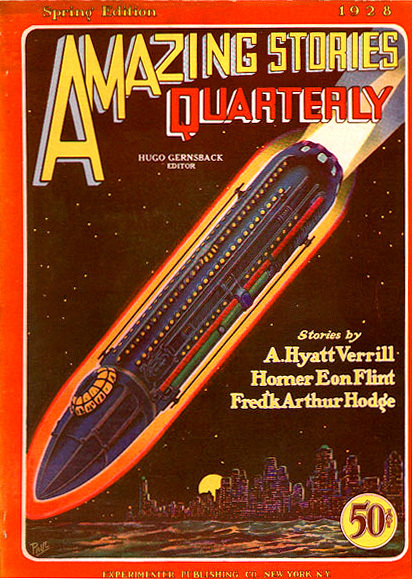 The copyright for this 1928 issue of Amazing Stories Quarterly would have to be renewed in 1955. Online page scans of the Catalog of Copyright Entries, published by the US Copyright Office can be found here. http://onlinebooks.library.upenn.edu/cce/ A search of the Renewals for Periodicals from 1954 to 1957 shows no renewal entries for Amazing Stories Quarterly.